Jack Ma, Alibaba’s executive chairman, announced his decision to establish the Alibaba DAMO Academy (DAMO stands for Discovery, Adventure, Momentum, and Outlook) on the first day of the company’s 2017 Computing Conference, which opened on Wednesday. Ma said the academy will do research aimed at “solving problems” related to the Internet of things, fintech, quantum computing, and AI. It will open seven research labs in China, the U.S., Russia, Israel, and Singapore. Chinese tech companies are increasingly looking to invest in cutting-edge research, especially artificial intelligence. Alibaba’s future has never been so closely intertwined with original research. The company already has more than 25,000 engineers working on applying AI advances to consumer products and cloud computing services. Traditional strategic planning is important as a means of understanding the world of today. However, if you aspire to a strategy that will enable your company to achieve disproportionate growth and create competitive advantage, you need to push beyond pure analysis. What if the razor industry, dominated by giants Gillette and Schick, had looked beyond known competitors to anticipate the value in a direct-to-consumer subscription service? Would the e-commerce razor delivery company Dollar Shave Club have had such a meteoric rise? And would powerhouse Unilever, which acquired the startup in 2016, have expanded as meaningfully into the shaving business? Successful digital strategy requires a blend of deductive analysis and the type of inductive reasoning that powers the creative leaps that anticipate and open fundamentally new markets. There are many interesting libraries being developed for Python. As a data scientist or machine learning practitioner, I’d be tempted to highlight the well-maintained tools from Python core scientific stack. For example, NumPy and SciPy are efficient libraries for working with data arrays and scientific computing. When it comes to serious data wrangling, I use the versatile Pandas package. Pandas is an open source library that provides fast and simplified data manipulation and data analysis tools for Python programming language. It focusses on providing realistic and high-end data analysis in Python. I’d also recommend Matplotlib for data visualization, and Seaborn for additional plotting capabilities and more specialized plots. And Scikit-learn is a great tool for general machine learning, which provides efficient tools for data mining and analysis. Corporate boundaries now extend far beyond the four walls of the enterprise, and are becoming more fluid and elastic every day. They now incorporate mobile workers, vehicles, pop-up and temporary networks, kiosks, cameras and sensors, to name just a few. Organisations need a WAN with an Elastic Edge – one that effortlessly expands, contracts and stretches to connect any new endpoint, wherever that may be. The traditional branch-centric WAN was never designed to cope with these demands. Highly complex and inflexible, a traditional WAN often inhibits business agility. Increasingly, organisations are looking to a Network-as-a-Service (NaaS) model, where connections can be spun up and down, whenever and wherever they are needed. In this model, organisations can move away from a traditional build-your-own, fixed location network, to a model that can be designed to individual requirements and billed on a ‘pay for what you use’ basis. How Will AI in FinTech Benefit Consumers? Areas in the financial industry are dependent on a set of complex rules. Humans have to manually review hoards of data. Human error in this process in inevitable. In some cases, the false positive rate of risk detection – the rate that humans accidentally detect a case of fraud – is as high as 60%. As financial services become more complex, and more people have access to these services, the amount of data banks are dealing with is increasing. The issue of human error will only become more critical. This is why smart systems can be so useful for consumers. 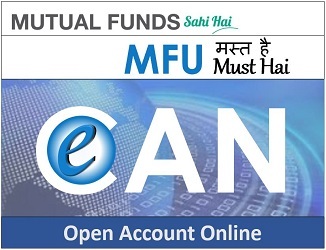 They can increase the accuracy with which fraud is detected, and ensure that cases of fraud that are currently being missed are now captured. In the credit card space, for example, MasterCard traces card usage, and endpoint access. Microservices and public APIs are grown from the roots of service-oriented architecture (SOA) and software-as-a-service (SaaS). Although SOA has been a trend for many years, widespread adoption has been hamstrung by SOA's complexity and overhead. The industry has settled on RESTful APIs as the de facto standard, providing just enough structure and convention with more real-world flexibility. With REST as the backdrop, we can create formal API definitions that retain human readability. Developers create tooling around those definitions. In general, REST is a convention for mapping resources to HTTP paths and their associated actions. You've likely seen these as HTTP GET and POST methods. What's key is to use HTTP itself as the standard, and layer conventional mappings on top of that for predictability. Private equity firms are attracted to cloud-based SaaS delivery models, which offer recurring revenue streams via continuing renewals of an existing customer base. Despite the lack of hard assets to lend against, the predictability of subscription-based revenue models offer private equity firms a reason to invest, to hold those investments for longer periods of time and provide a cushion from inflated valuations. All of which is not to say that there’s not the threat of fracture to this new private equity-tech partnership. Naysayers argue that funds are paying an egregiously unhealthy EBITDA multiple, and, in doing so, are creating a new bubble. In addition, for the private equity-tech relationship to work in the long-term, funds must be willing to assert unusual control over their investment targets, continue to invest in operationally sound playbooks and must help their portfolio companies nail the subscription model, which requires higher upfront costs. Finding the right marketing messaging for all customer segments is a highly challenging and highly rewarding endeavor. Machine learning pilot programs are providing leading banks with a competitive edge while helping marketers better understand what types of marketing messages are preferred with various audiences. The latest digital advertising platforms and c0ntent management tools are making machine learning accessible and affordable to non-technical marketing teams in a variety of industries. With the adoption of these advanced marketing technologies, we are moving into a world in which the most visible marketing asset to digital marketers, the homepage marquee banner, will deliver more personalized messaging, better marketing results, and an overall better experience to all prospects and customers. While data preparation capabilities are critical to BI and advanced analytics adoption, the “softer” areas of culture, leadership and skills are also key. Even organizations that are strong in these areas say that they see significant challenges with things like innovation, creativity and leadership. 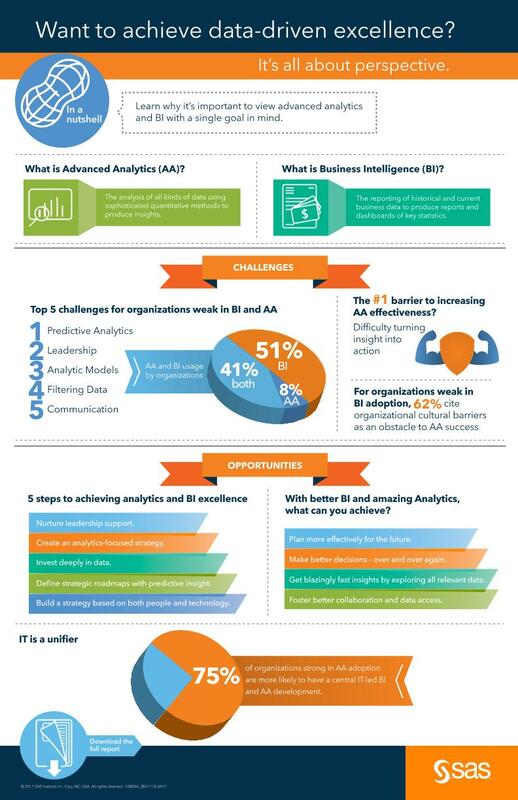 As the report reveals, weak adopters of both BI and advanced analytics should see opportunities for executive support. Without a strong vision and buy-in at the executive level, resulting initiatives will naturally fail or underperform. To improve adoption, leaders need to openly demonstrate and quantify the value or metrics of success from these initiatives. As organizations pursue the path from BI to an advanced analytics continuum, the skills and competencies required from data scientists are broader than those of BI/reporting staff or business analysts.